The Raspberry Pi can just be used as a small computer – but the really interesting thing is the opportunity to do experiments with self built electronic circuits. For this a breadboard is quite helpful. 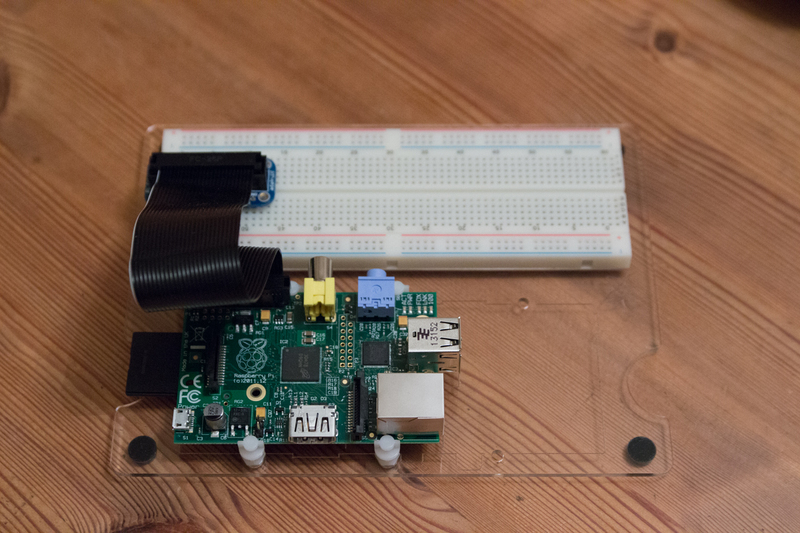 This is a base plate made of acrylic glass on which a breadboard is glued on and four holders which affix the Raspberry Pi quite solid in one of two possible directions, depending on if you want to use the HDMI output or the analog video and audio outputs. When mounting the thing you should take care that the Adafruit logo is on the right and the breadboard is on the top respectively the engraved markings should be on the top, before you glue on the breadboard. 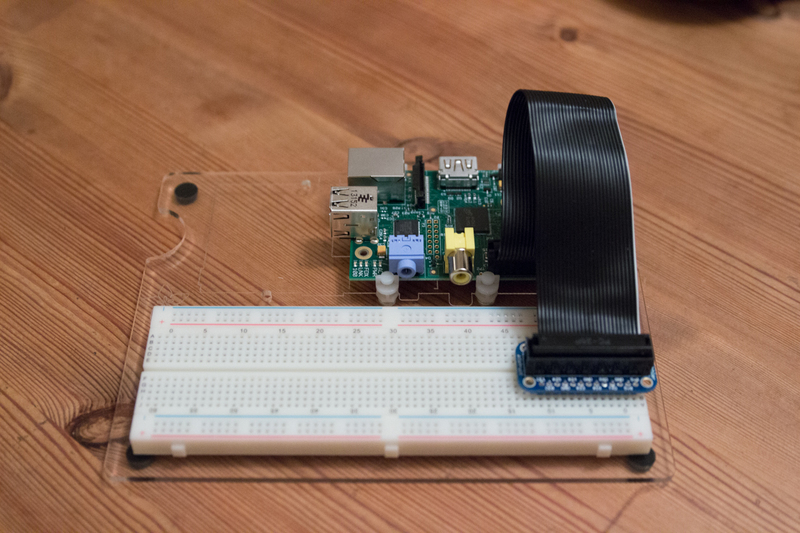 Together with the “Cobbler” by Adafruit the connection to the GPIO port of the RasPi using a ribbon cable is also quite simple. The “Cobbler” is also available in a different variant as “Cobbler T” which brings the cable to the breadboard from the side.